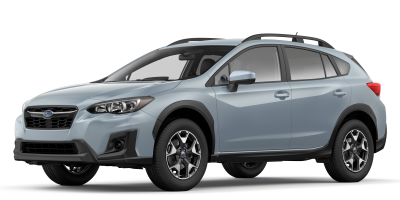 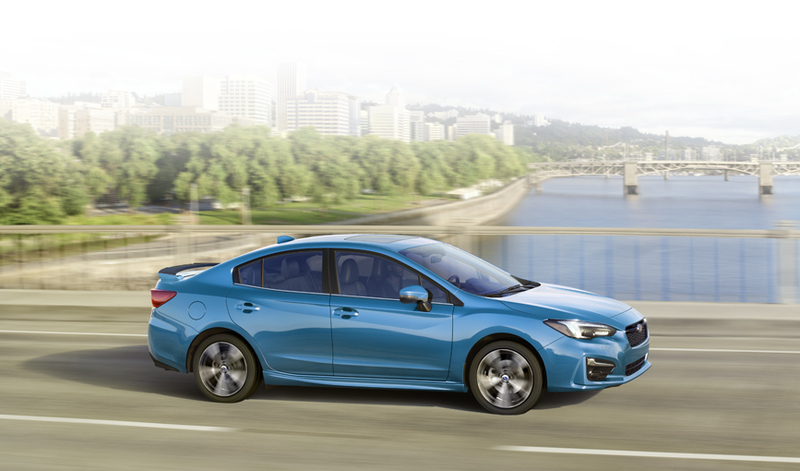 The 2019 Subaru Impreza features a wide, low stance and a dynamic look overall, all of which adds up to a striking first impression. 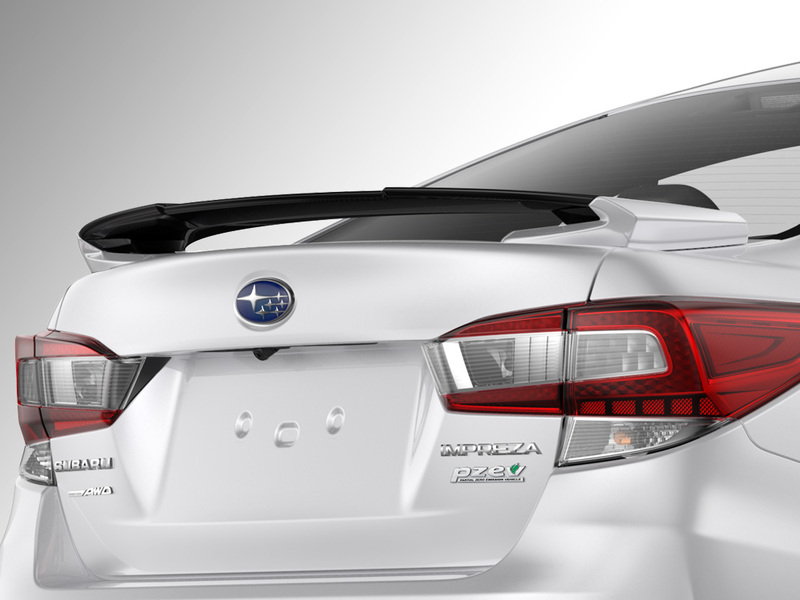 The 4-door features a trunk lid designed for improved aerodynamics, while the 5-door sports a roof-mounted spoiler. 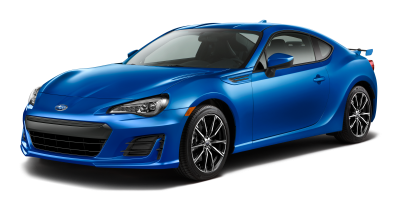 Various available features, such as a trunk-mounted rear wing and a host of alloy wheel designs, ratchet up the excitement level even more. 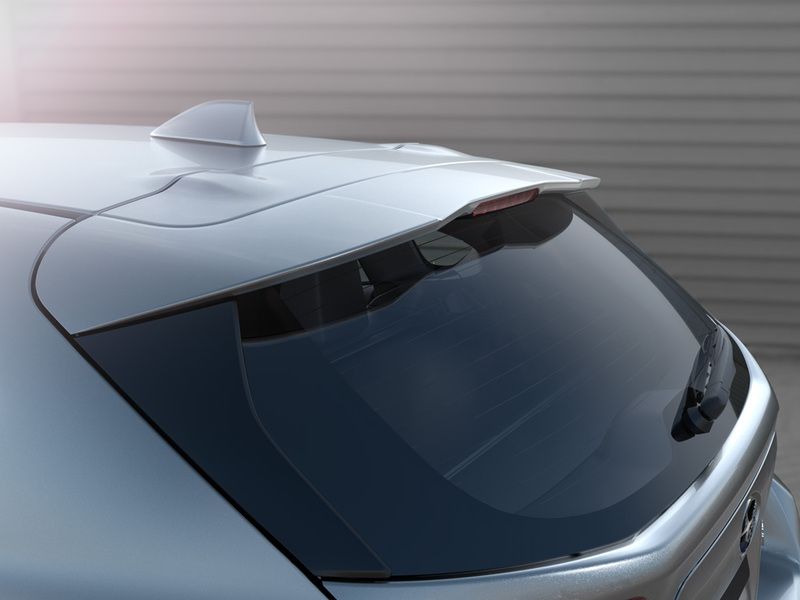 These heated, power-adjustable and foldable mirrors are also designed to improve aerodynamics and reduce wind noise. 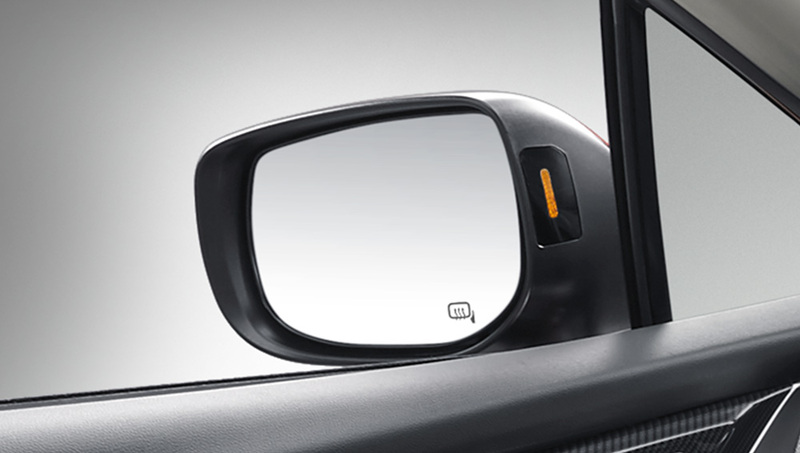 On select models, the LED indicators for the SRVD system have been relocated outside the mirror surface to cut distortion and improve rearward visibility. 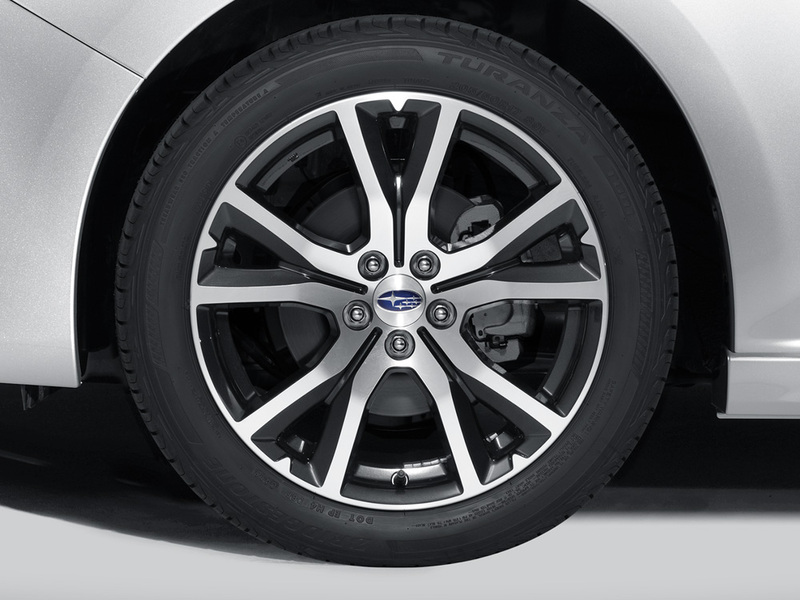 Sport-tech models also feature LED turn signals for added safety, visibility and style. 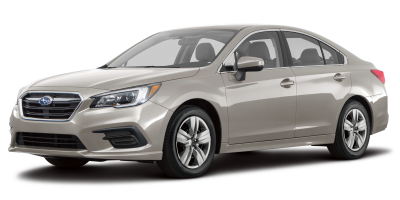 This available power-sliding sunroof delivers a great view of your surroundings, while allowing fresh air and sunshine to fill the passenger cabin. 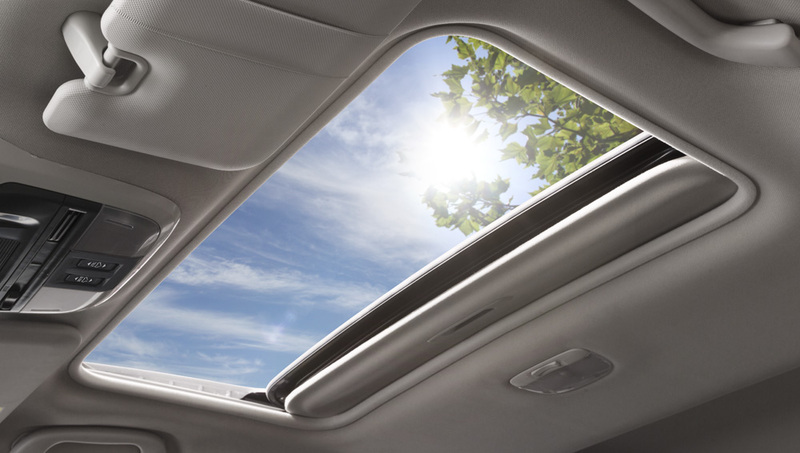 The sunroof slides or tilts open; on extra hot and sunny days, a manual sunshade helps keep things cool inside. 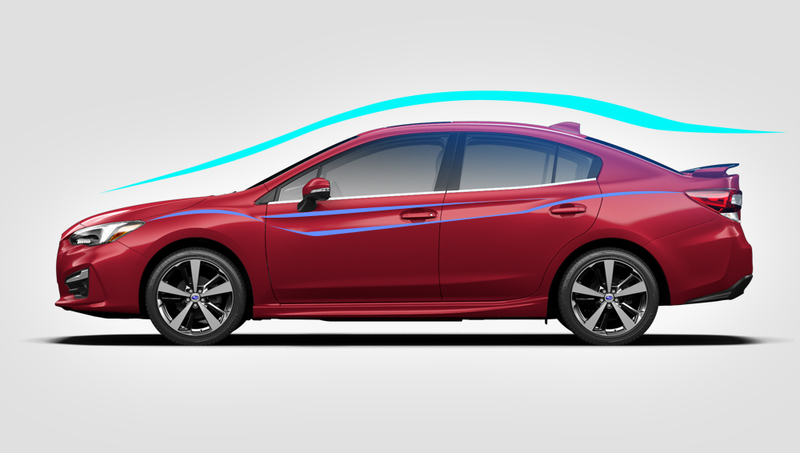 This generation Impreza features enhanced aerodynamics courtesy of a sleeker roofline and available streamlined side rocker panels. 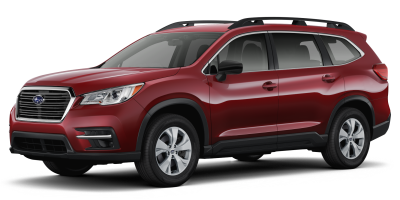 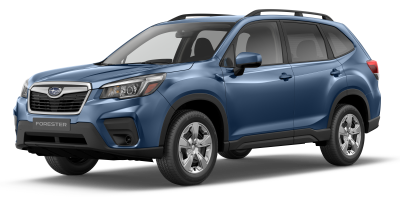 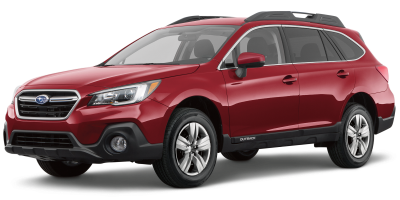 Select trim levels also come equipped with the Active Grille Shutter system, which boosts fuel economy by reducing wind resistance when the front grille is closed. 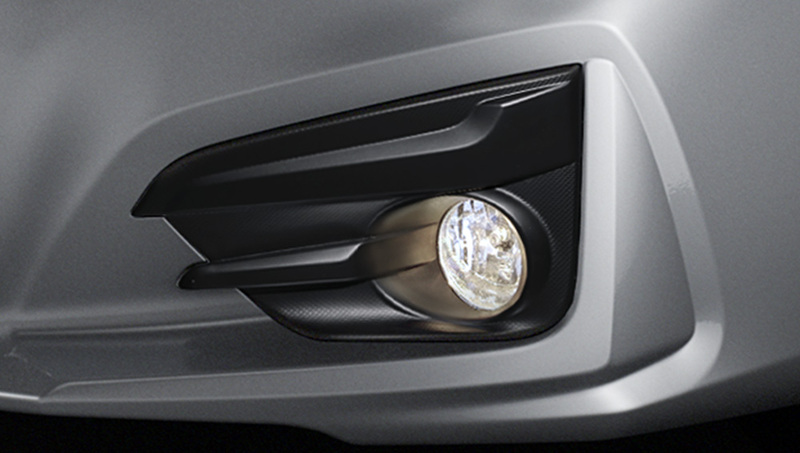 These fog lights cut through murky conditions and vastly improve night vision, bringing improved safety into sharp focus. 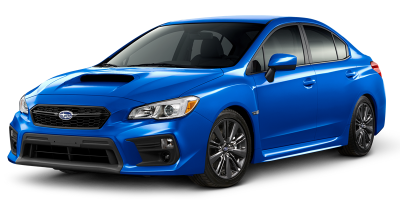 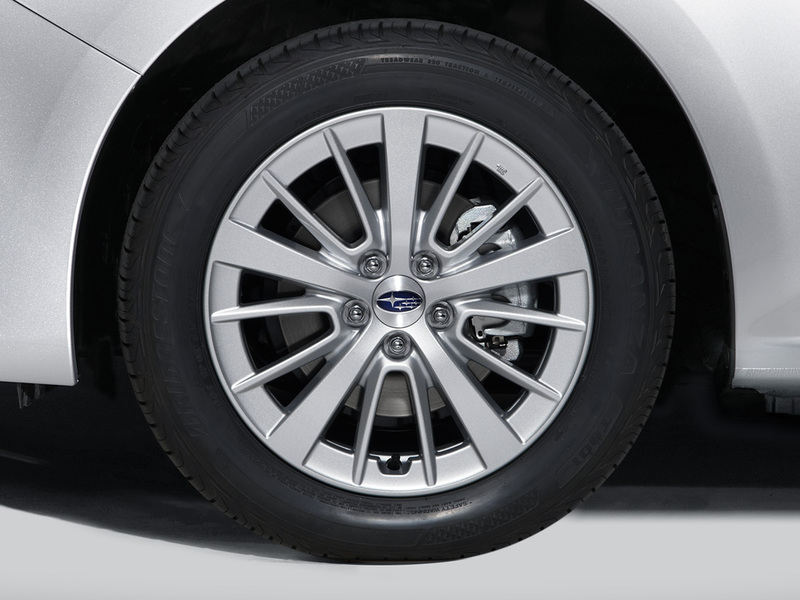 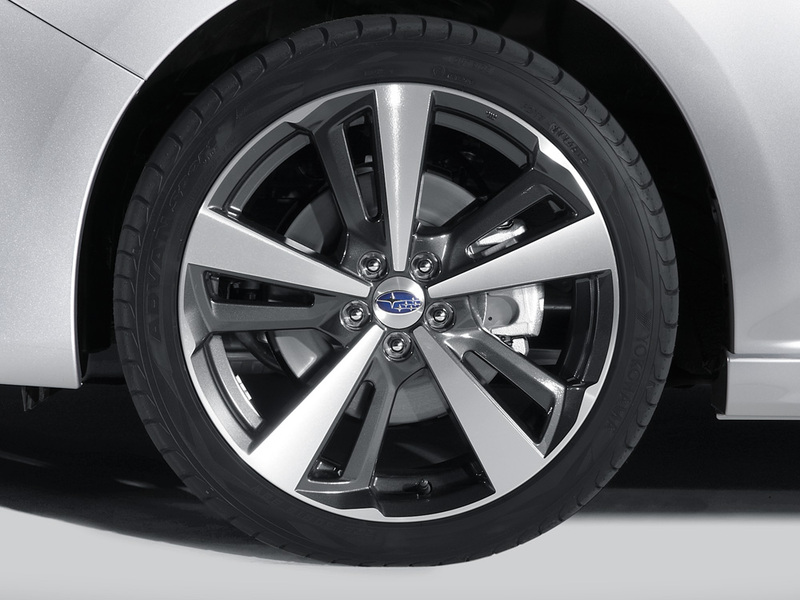 This feature is available on select trim levels of the Impreza. 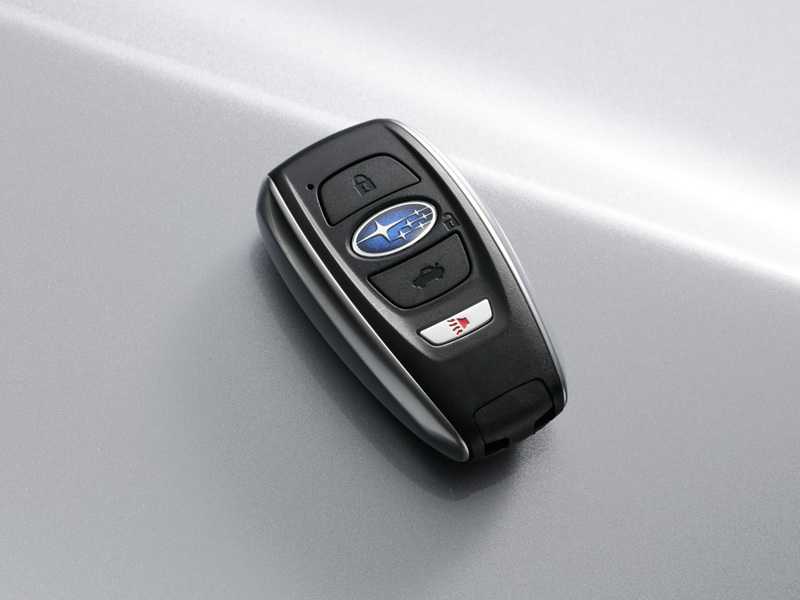 These available headlights automatically turn on under low-light conditions and turn off when the key is removed from the ignition. 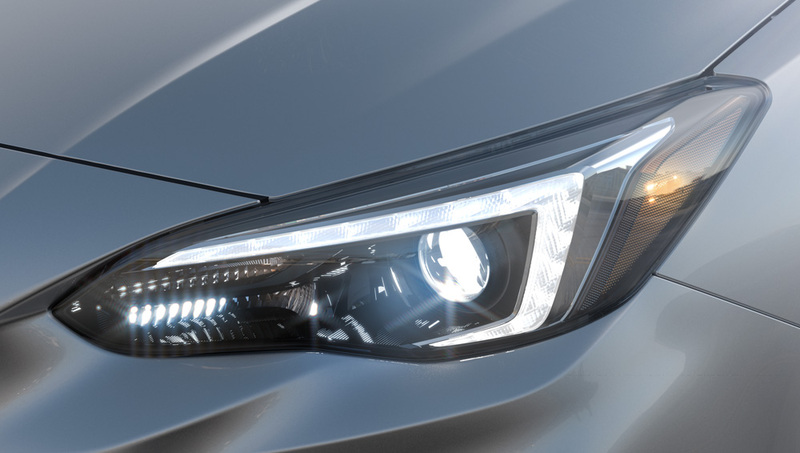 Select trims feature windshield wiper-activated headlights and Steering Responsive Headlights with high-performance LEDs that cast a brighter, whiter beam and follow the trajectory of the car while cornering. 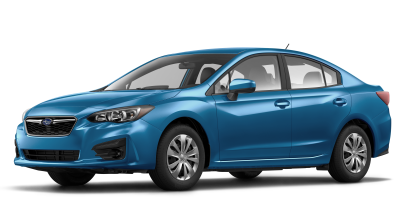 Impreza models equipped with EyeSight® also come with High Beam Assist, which automatically switches the headlights between high and low beams to suit driving conditions.